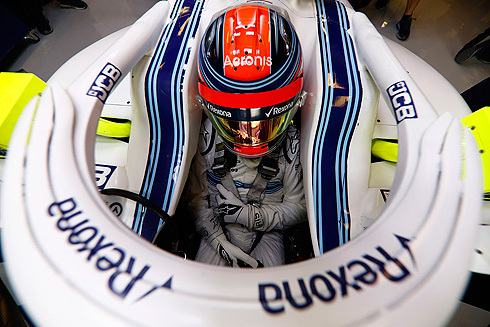 The 2018 Formula One season would see Robert Kubica take on the role of reserve driver as well as having several Friday practice sessions in the car. But 2019 now sees Robert take on the role as full time driver for the Williams team. With the arrival of Robert at the Williams team as a full time driver Chief Technical Officer Paddy Lowe has spoken of the impact that Robert's arrival has had on the Williams team. The 2018 Formula One season would see Robert Kubica take on the role of reserve driver as well as having several Friday practice sessions in the car. But 2019 now sees Robert take on the role as full time driver for the Williams team. With the arrival of Robert at the Williams team as a full time driver Chief Technical Officer Paddy Lowe has spoken of the impact that Robert's arrival has had on the Williams team. Lowe has described how the arrival of Robert has been a positive thing for the team as they prepare for the first tests of the 2019 season, as well as the opening race in Australia. “It’s really been terrific to have him working with us already, and he’s a great team member. “He’s just one of the old-school guys who kind of knows how it works, and that brings a certain element to what we do. Even though he was quite positive in his description of the effect that Robert has had with the team still a big unknown is how this will translate into performance out on the track. “Where it will go with performance, I think even Robert would say we don’t know,” Lowe added. “He’s very determined and a remarkable character to make this return. I think we all know why, it’s admirable for that. “We’re all looking forward to seeing how it turns out, but we don’t really know and that’s part of the interest and the excitement, particularly from the Polish! “He hasn’t even been driving and they’ve been some of the most committed fans across in the grandstand with flags in the rain and everything, and he’s not even driving!